Losing things is a pain, partly because you spend so much time looking for them. 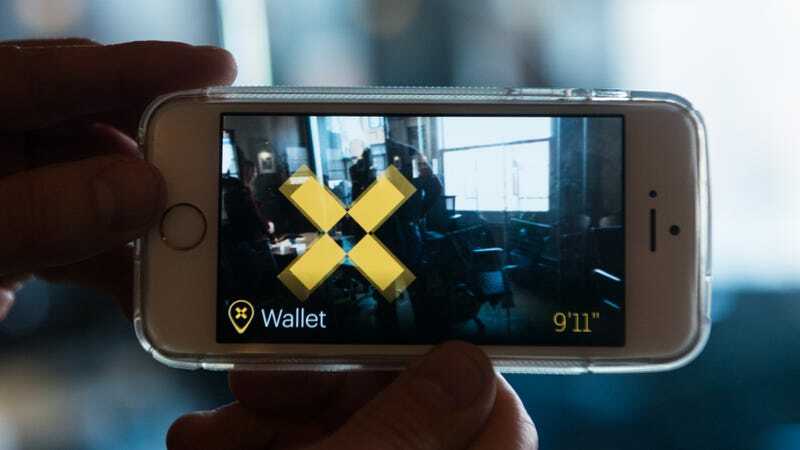 A new technology called Pixie is trying to solve that problem, and even make tracking down your misplaced valuables kinda fun, by turning them into a connected network you can search with an augmented reality interface. The Pixie platform consists of low-energy sensors that you attach to any easy-to-lose possessions and an AR interface that lets you hunt them down within inches of their location. It's terrifically futuristic, if not entirely a new concept. A number of similar products have been popping up in the past year alongside the internet of things trend. Pixie's focus is on precise location and versatility; unlike competing products, the sensors, or "Pixie Points," are always on and connect to each other, creating a small mesh network that enables precise triangulation of your things, even if they're on the other side of a wall. You use an augmented reality interface, part of the corresponding app, to zero in on the objects. It's actually kind of fun, like looking for buried treasure on a beach. Once they become part of the same mesh network, each Pixie-enabled object knows where the other ones are and when they separate. The software has a feature that lets you create kits of things—say, your work bag—and alerts you if an object goes missing from the kit. You can stick the silver dollar-sized sensors on laptops, smartphones, pet collars, passports, and so on. "People think of not being able to find something as a hardship, not a problem," Amir Bassan-Eskenazi, told CEO and co-founder of Pixie, told me during a demo of the technology. He's kind of right, and Pixie's hoping to solve that problem. You can pre-order Pixie Points in packs of four for $40. The kits ship this summer and include adaptors for attaching sensors to pet collars or curved surfaces. Meanwhile, Pixie has opened up their API to developers so expect new features to show up in the coming months.